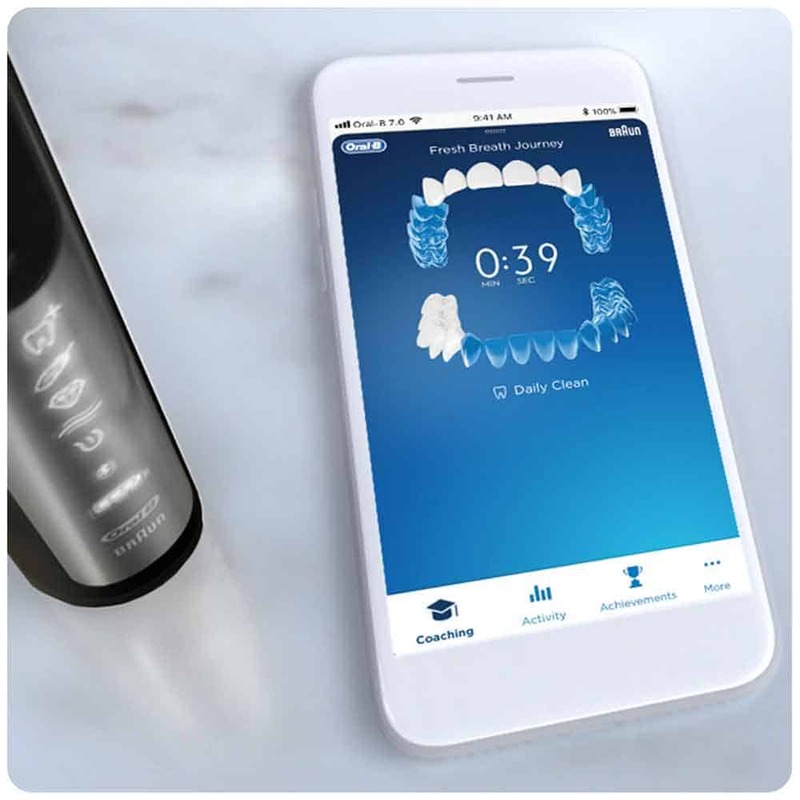 Update 26/02/2019: The Oral-B Genius X, an AI-powered toothbrush was announced in January 2019 at CES for the US market. I wrote about the brush and this announcement below. Yesterday, on 25th February 2019, it was announced at Mobile World Congress that Oral-B would be bringing the Genius X to the UK & Europe in July. The features and specifications are the same. I will complete a full hands on review as soon as the product is available. You can have the best electric toothbrush available, but although it is capable of cleaning your teeth to a high standard, it is no good if you do not use it regularly, for the right amount of time or with the right technique. Few of us have ever been shown the right way to brush. Your dentist may have shown you, given a few useful tips and reminders, but it is easy to forget or do it wrong when you get home. In recent years the electric toothbrush has become a lot smarter and many are now equipped with technology that acts a little like having a dentist on hand, with the aim that you and I become better at brushing our teeth. Better brushing will generally lead to better oral health and less unexpected, costly and painful trips to the dentist. Sensors and electronics built into the toothbrush handle now communicate via Bluetooth to a smartphone application that interprets that data and displays it in a meaningful way on screen for you and I to learn from. This means that after our regular brushing we can see whether we missed an area in the mouth, used the wrong approach in another and whether we even brushed for the right amount of time at all. Oral-B have been offering Bluetooth enabled toothbrushes for some time and have the largest range of Bluetooth enable models. 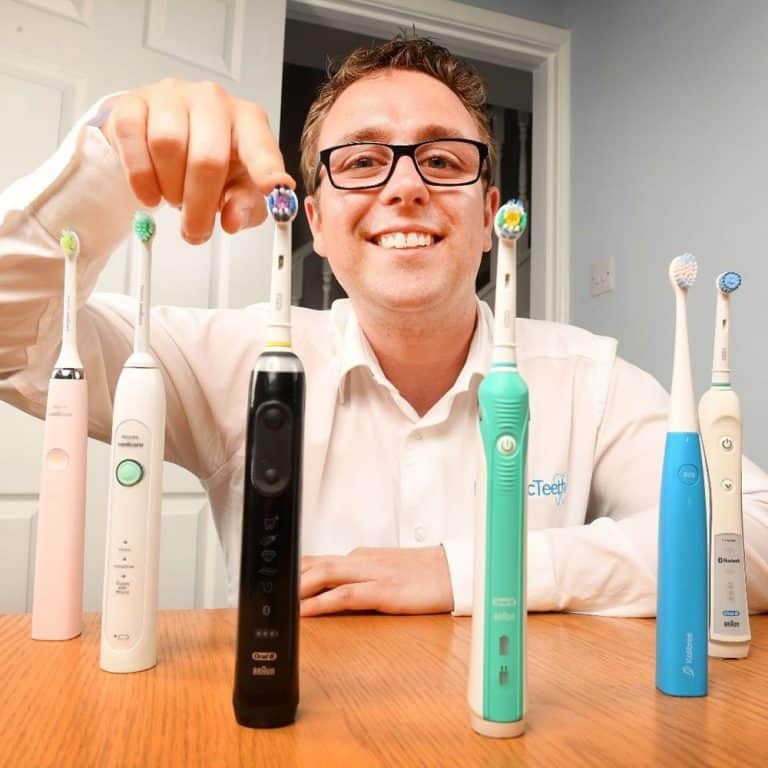 However, models like the Colgate Connect E1 have been pushing the capabilities of the toothbrush even further introducing Artificial Intelligence (AI) with the intention of further enhancing what the brush and smartphone app can offer us as users. 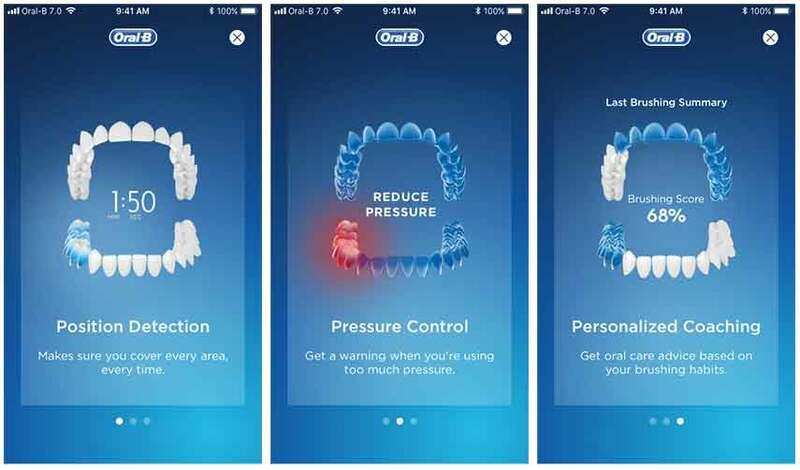 Not wanting to be left behind, at the Consumer Electronics Show (CES), in Las Vegas, Oral-B have announced the new Genius X. Due to begin shipping in September 2019, the Genius X is an AI enabled electric toothbrush. An upgrade on the Genius 9000, the Genius X, Oral-B claim this new AI-Brush knows more about brushing styles than anyone on the planet! Using data acquired from existing users of Bluetooth enabled toothbrushes the Genius X has the technology to recognise brushing styles and knows how to improve our oral health. It tracks how users are brushing in their mouth and offers personalised feedback on the areas that require additional attention. The ideas is that Oral-B GENIUS X will make you brush for the right amount of time everywhere hassle-free, regardless of individual brushing styles. Unlike previous Genius models and their position detection system, the new Genius X, will not make use of your smartphones front facing camera. This should make daily use much more convenient and no need for a big old smartphone holder to be attached to a wall or mirror in your bathroom. I or anyone here at Electric Teeth has yet to go hands on with the Genius X, but the press images suggest it will look very much like the existing Genius models, albeit with this technology enhancement. The images suggest the brush will come with 6 cleaning modes (Daily Clean, Gum Care, Sensitive, Whitening, Pro Clean and Tongue Clean). The size and design of the brush also looks to be comparable to existing Genius models, so expect the same feel in hand and likely similar battery life too. The Genius X will be available in white, black, rose gold and orchid purple, colours previously seen in the Genius range. In addition, a new anthracite grey colour option is also being made available. An official press release suggests a new travel case, that charges both the brush and a USB device, such as a smartphone, to make travelling with your electric toothbrush easier than ever. Without having seen this case, it sounds to me, just like that provided with the existing Genius series of brushes. Once the Genius X is available, you can rest assured that we will go hands on with the brush and put it through its paces. It will be nice to see what it is like to use and how it compares to existing AI enabled models like the Colgate Connect E1. Click here to view the Genius X fact sheet.